Team photo taken before the opening League match of the season, against Cambridge City at Crabble on Saturday, 11th.August 1973. Back row: Kenny Reynolds, Les Hall, Alan Fursdon, Chris Hamshare, Mick Gadsby, John Kurila, Barry Thornley, Peter Brooks, Jim Blaikie(Trainer). 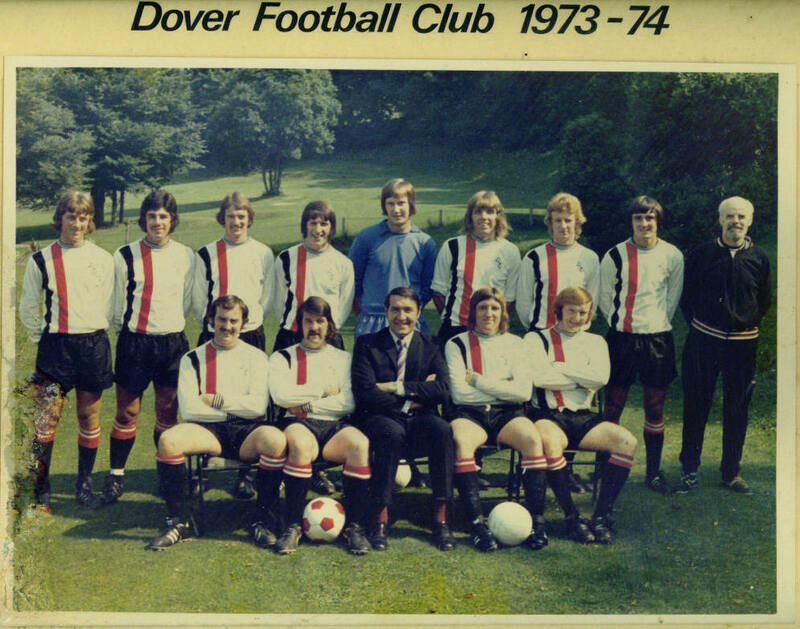 Front row: Tony Moy, Jimmy Stevenson, Terry Adlington(Manager), Keith Robinson, Keith Down.